You can grow your own ginger from a root purchased at the market. Not only will you be able to enjoy the blooms, the new roots can be used for cooking or medicinally. This is a guide about how to grow your own ginger. Now that everyone's battling colds and flus, I'm reminded that growing your own ginger is super easy and, of course, great for your budget. When you're at the store, choose a ginger root that looks like it has eyes growing from it (much like potato eyes), or take it home and wait for the eyes to grow themselves. Take the whole bulb and put it in a pot of soil, then cover with about 2 inches of soil. Make sure you keep the soil constantly moist and it will do well on its own. After several months it will bloom and you'll know there are multiple ginger roots below for you to enjoy. Ginger loves humidity, so this coming spring is a great time for you to start planting! Source: My mum's great gardening. You and your Mum are cramping my style. You have shown me up, again. I tried growing ginger years ago and had very little success. I was growing it for the blooms. Some of them are very nice. Maybe I will try them again. Your Mum must be a wealth of gardening knowledge. Do keep picking her brain and relaying tips to us. Thank you, Eiko! I will add one tiny thing to your tip. 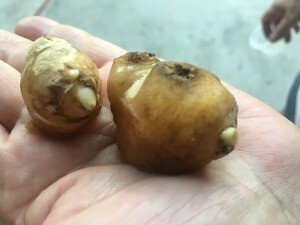 When selecting ginger from the grocer for planting , if you see roots with buds, be sure to get those. Many growers kill the roots so they will not sprout. With new buds, you can almost be sure the roots are alive. I like using fresh ginger so this sounds like a fun way to see the blooms and harvest some fresh ginger too. I hope you are keeping a folder with all of your tips and recipes so you can publish it one day and triple reward your mom for all her help. How about posting a photo of your mom so we can all thank her "in person"? I have been growing ginger for several years and its great. This year we had snow, ice and freeze. 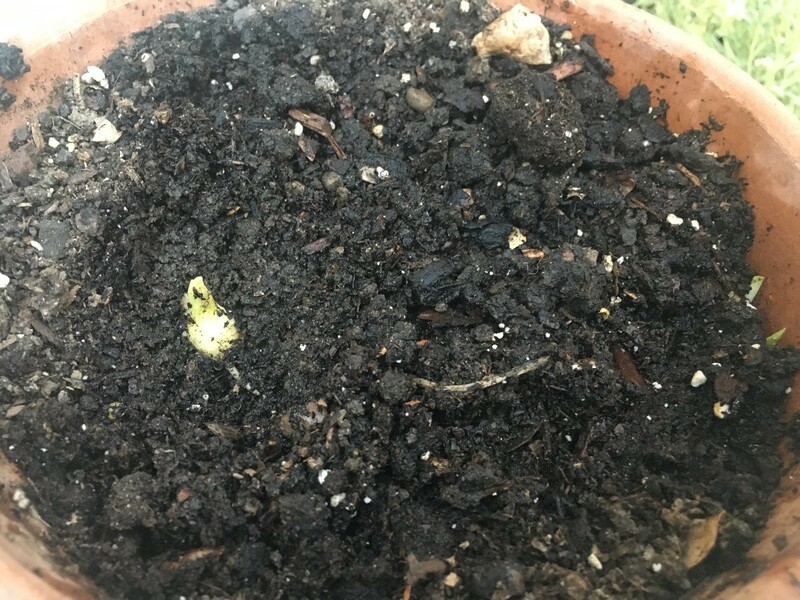 I covered the ginger in the pot and am waiting to see if it made it or not....I had purchased several pieces at grocery and they sprouted and that was when I decided to plant to see what happen. Wonderful they grow and grow. I have a funny tidbit to share. My best friend is a Master Gardener. I often would forward some of the questions people'd ask on ThriftyFun about plant identification. One day my bestie asked me, "Wait. Why aren't you asking your mum? She's THE plant and garden pro." I did NOT even know she had that title amongst others. I watched her garden through the windows all my life but didn't know what wealth of knowledge she kept upstairs. Now I ask her for help and it's just amazing what she knows. I asked her how she finds out about this stuff and she says it's just been very interesting knowledge from digging around all her life. She's my hero.